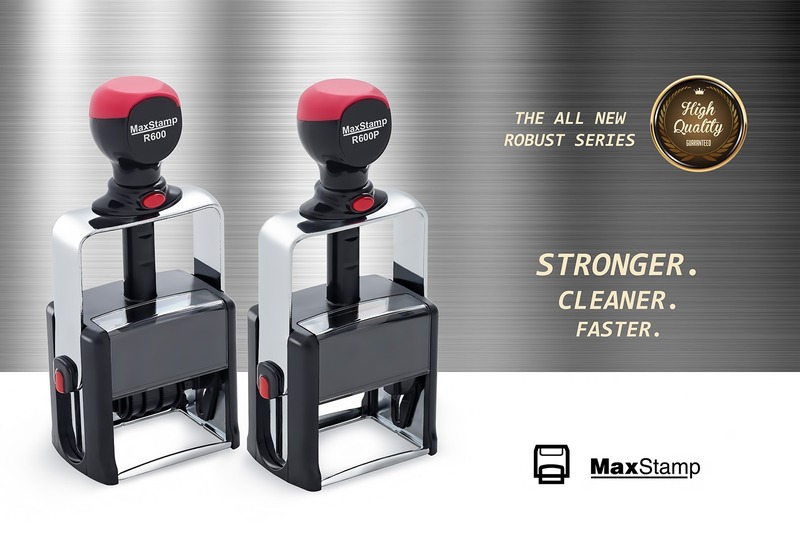 Rubber Stamps from the MaxStamp brand are defining self-inking stamps in a whole new way. The style and innovative elements characterize the MaxStamp products in the best combination of design and functionality. The quality is evident when stamping clear impressions time after time with a smooth oscillation movement. The “see through” base also enables the user to achieve an accurate imprint positioning. We offer a wide choice of sizes & styles for all requirements & areas of business/personal use. Metal construction guarantees a high quality and long life of the product. Industrial spring for more robust use. The CSI-Series of stamps offers a complete choice of sizes from small & handy to large & generous. They are equipped with metal & plastic parts combined with an industrial spring to reinforce superior quality over competitive brands, with a soft ABS plastic coating to make the handling of the stamp comfortable. 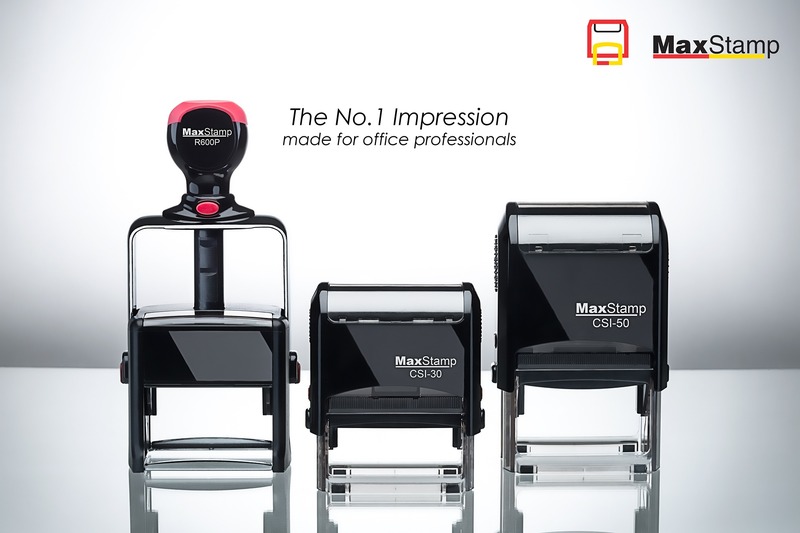 The R-Series of stamps are for sturdy heavy duty office use. Made with a metal frame which is designed for those who use it very often. The larger handle, frame stabilizer and new bushing mechanism has enabled us to create the best heavy duty rubber stamp we have ever offered. Download the MaxStamp sizing guide pdf. R-Series Custom Stamps to Joburg based customers in Kempton Park, East Rand Bedfordview and surrounding areas. Aquarius Media is one of the market leaders in the Custom Rubber Stamp industry and have been established since 2003. If you looking for the best possible prices don’t hesitate to contact us for a quote on supplying top quality Custom Rubber Stamps in Johannesburg, Cape Town, Pretoria or anywhere else in South Africa. See below some more examples.